How can you define self plagiarism? 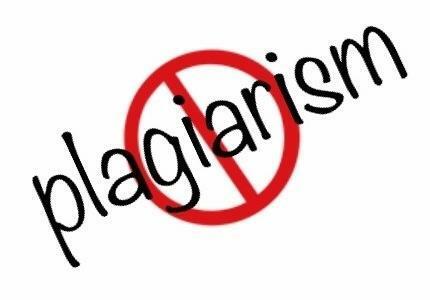 While plagiarism is the process of using the research or words of others without attribution, self-plagiarism facilitates re-using one’s own work. In some communities, self plagiarism is a debatable concept. Some may dispute that one cannot steal from oneself. Nevertheless, there are select instances in which reusing one’s own content is as improper as regular plagiarism. While self-plagiarism doesn't involve theft of intellectual property in the same manner that standard plagiarism does, the act of self-plagiarism does promote quite a few ethical issues in certain contexts. Primarily, self-plagiarism becomes a major issue when work is supplied that should be original. This indicates, for example, that most work printed in magazines or newspapers is unlikely to be regarded as self-plagiarized even when writers duplicate some of their own work. Self-plagiarism is primarily an issue in academic environments. Many schools have written procedures against students’ recycle of their work in different classes, and turning in the same material for two different classes is typically not approved. The demands of academia and the importance of publications for academics can result in another kind of self-plagiarism in which studies are recycled for a number of different reports. In answer to this, some journals and organizations have created guidelines or ethical codes that condemn self-plagiarism. Self-plagiarism is also a concern when the author no longer holds copyright to the content. In cases like this, a writer is breaking not just ethical but legal requirements. Once a copyright is owned by another person or organisation, writers are no longer authorized to use work as though it is their own. That said, there are a lot of situations in which reusing one’s work is acceptable or even necessary. Academics constantly build on earlier work, and reference to that work is in many cases inevitable and even required. Academics may also quote themselves. Accusations of self-plagiarism may be better deflected by conceding that the work is reused although some have argued that even this is unnecessary when one is writing for an entirely different audience of readers. Eliminating self-plagiarism is most effectively achieved by noting the context in which the writing arises, the expectations of the readers and the rules surrounding the piece.